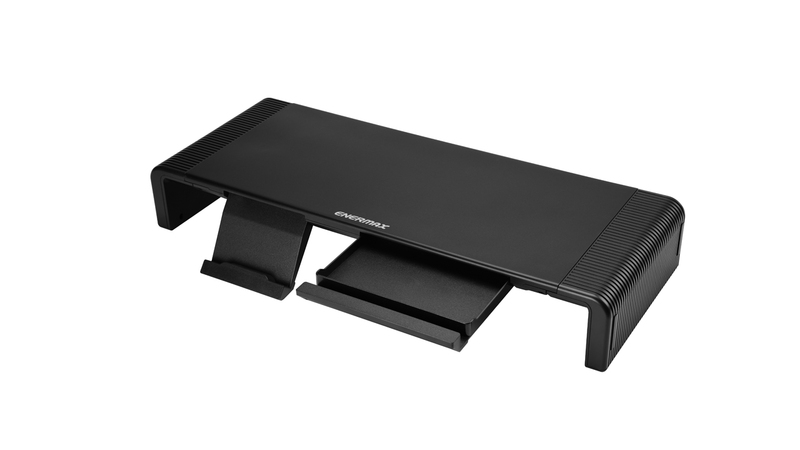 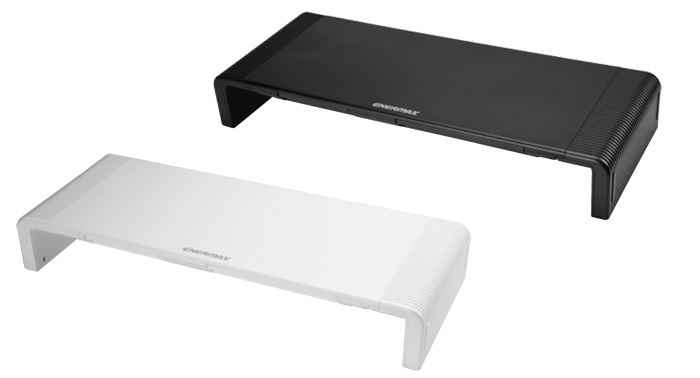 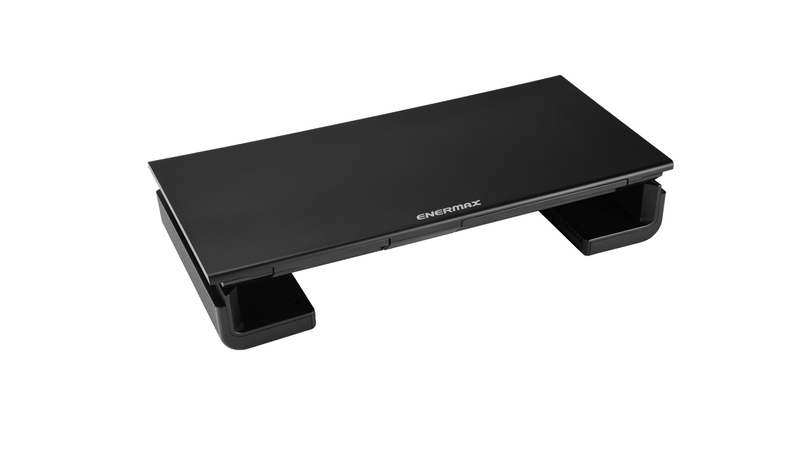 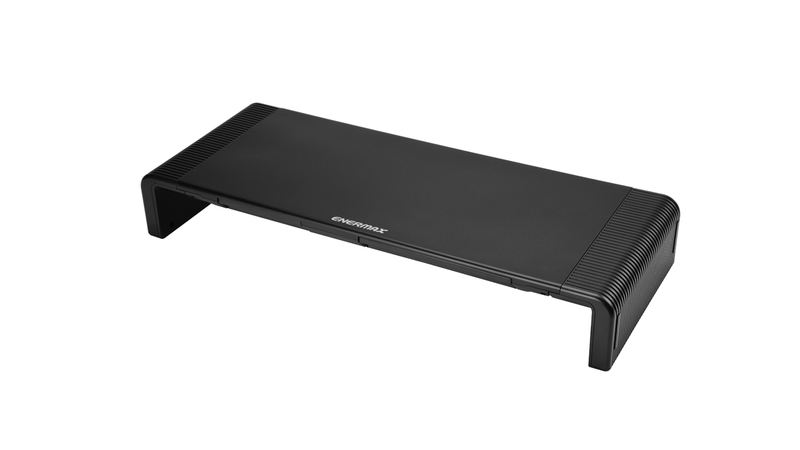 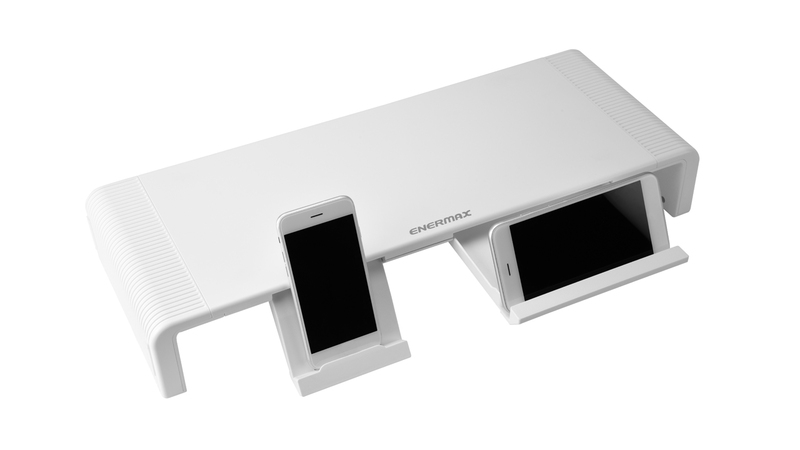 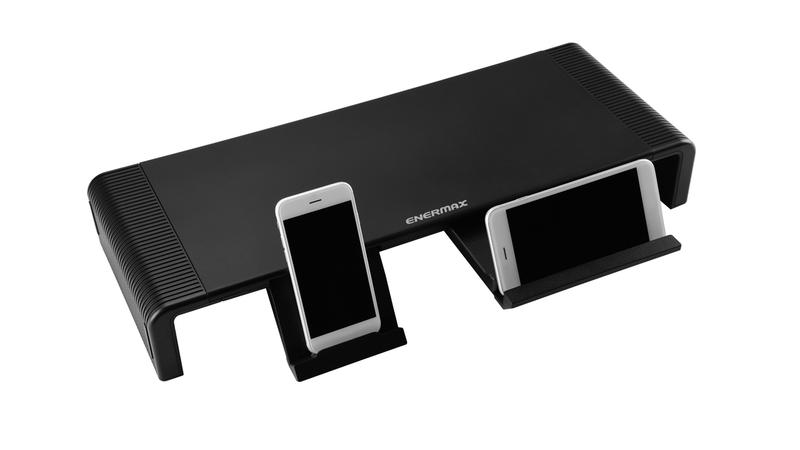 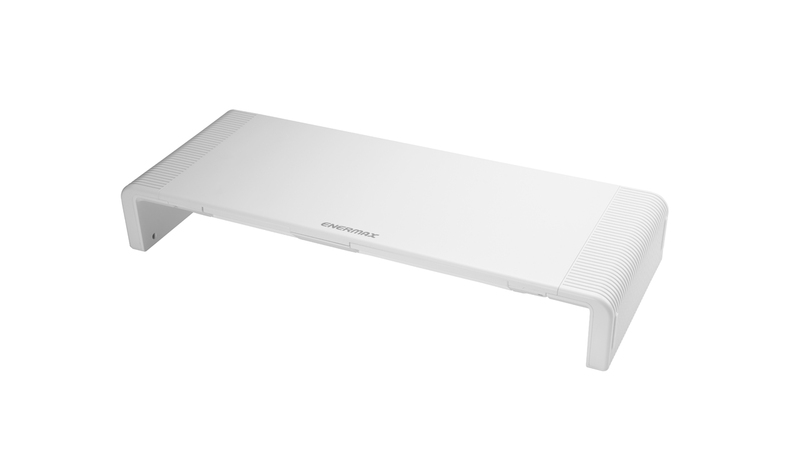 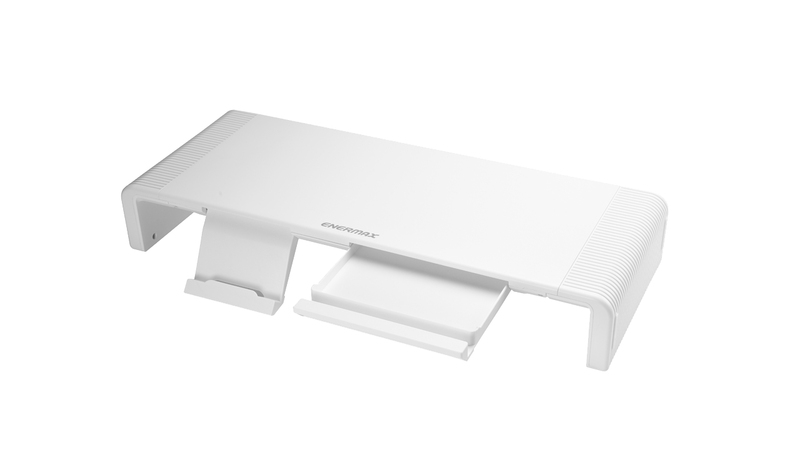 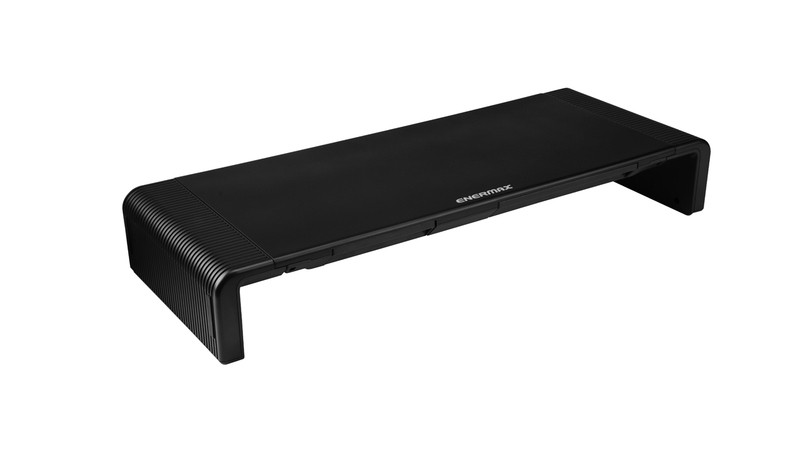 TANKSTAND, the Enermax’s first monitor stand, features patented foldable foot stands that allow users to adjust the width to fit different sized screens and desks. 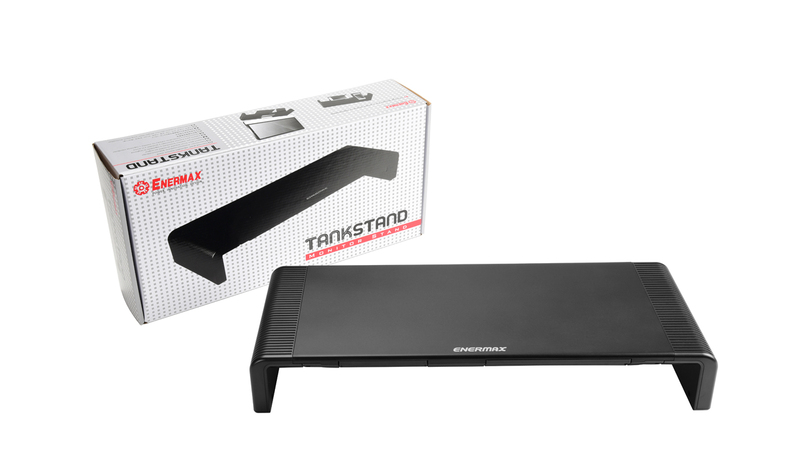 With additional storage space underneath the stand, TANKSTAND provides ample room for keyboards, game consoles or DVD players. 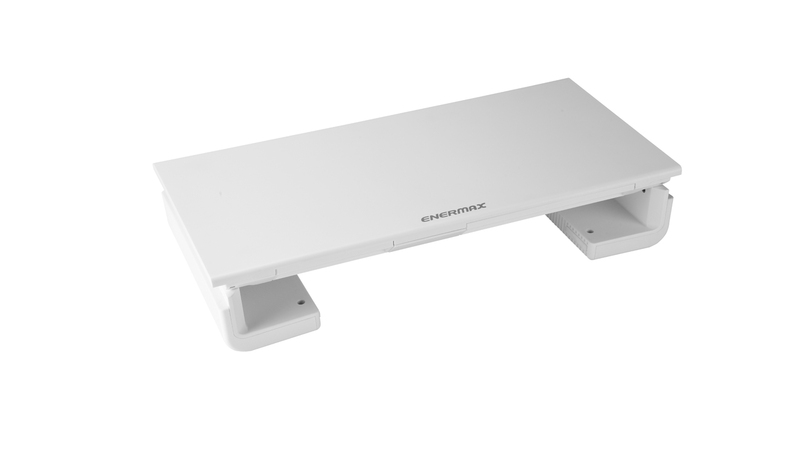 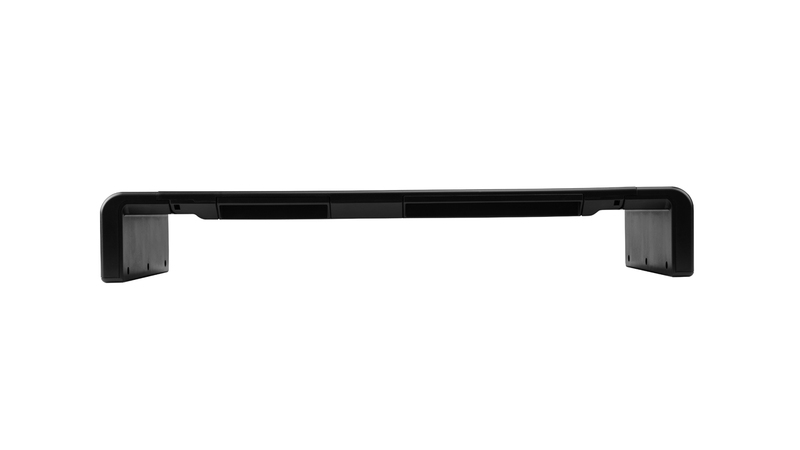 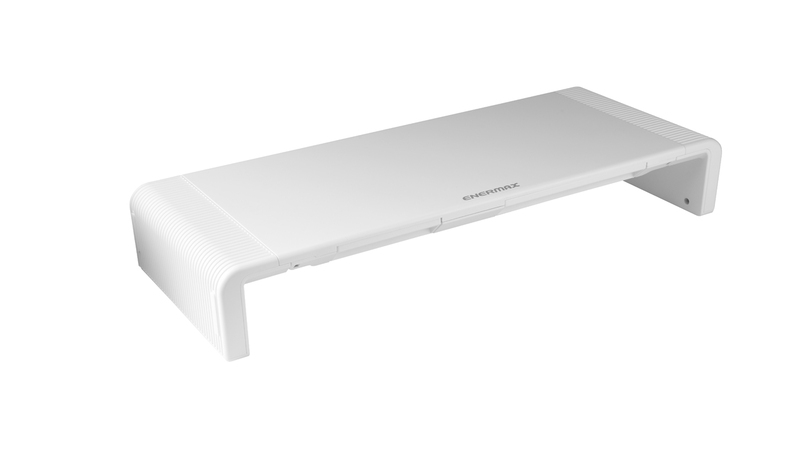 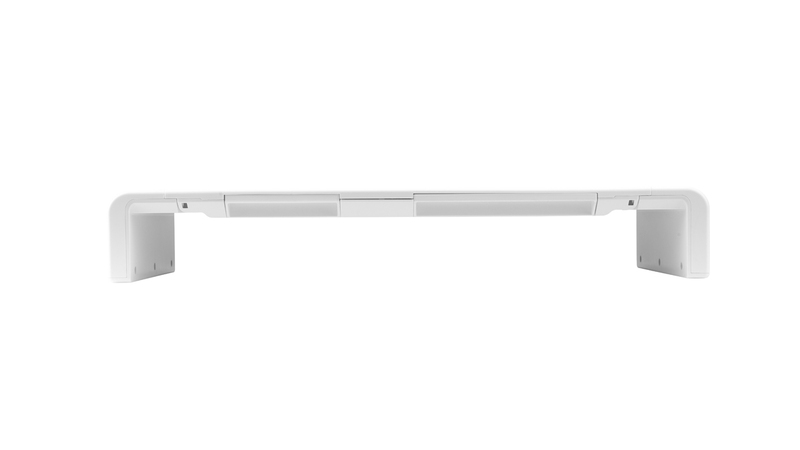 The elevated platform offers a comfortable viewing angle and helps reduce eye and neck strain. 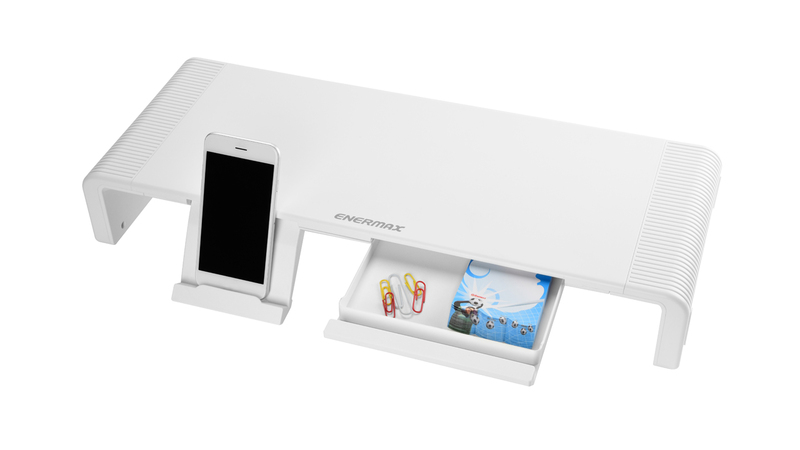 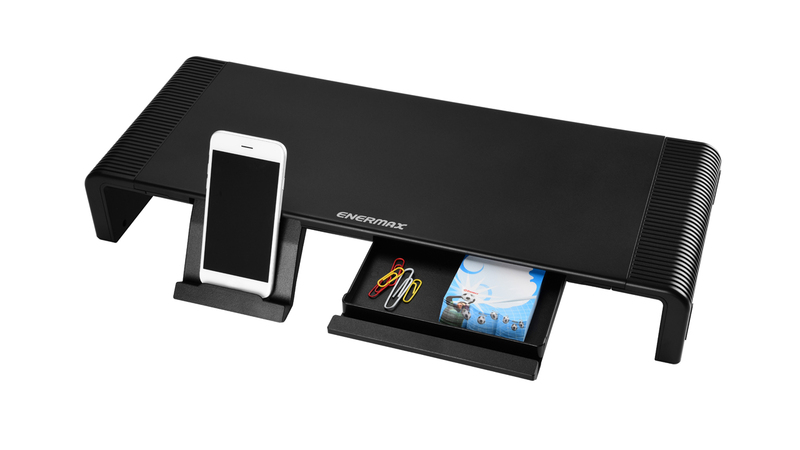 Equipped with a sliding drawer and a built-in holder, TANKSTAND offers storage space for everyday office supplies as well as for mobile phone and tablet. 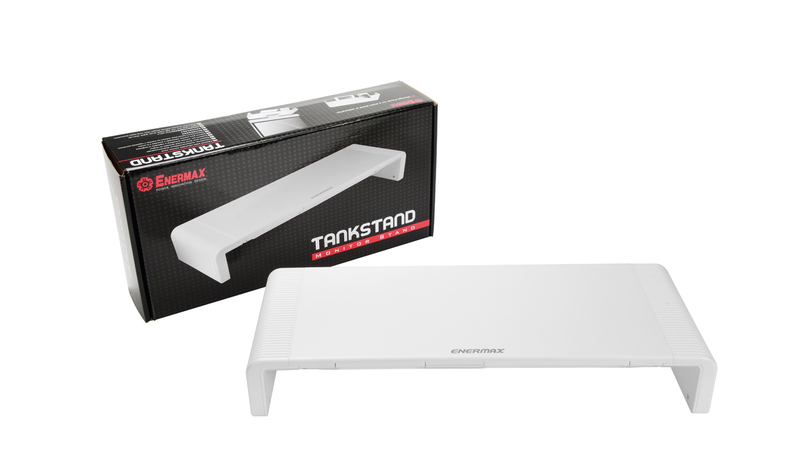 TANKSTAND is the perfect accessory for the neat working environment you ever desired.